Arthur is no longer a Hurricane and has been downgraded to a Post-Tropical Cyclone by NOAA. Hurricane Arthur has been moving up the east coast of the united states over the last few days and as a result affected cruise ship from Carnival Cruise Lines, Royal Caribbean and Norwegian Cruise Line. At the moment no more cruise ship itineraries have been affected. Arthurs currently has maximum sustained winds of 65 mph and is moving at a speed of 23 mph. The speed and winds are expected to decrease over the coming days. 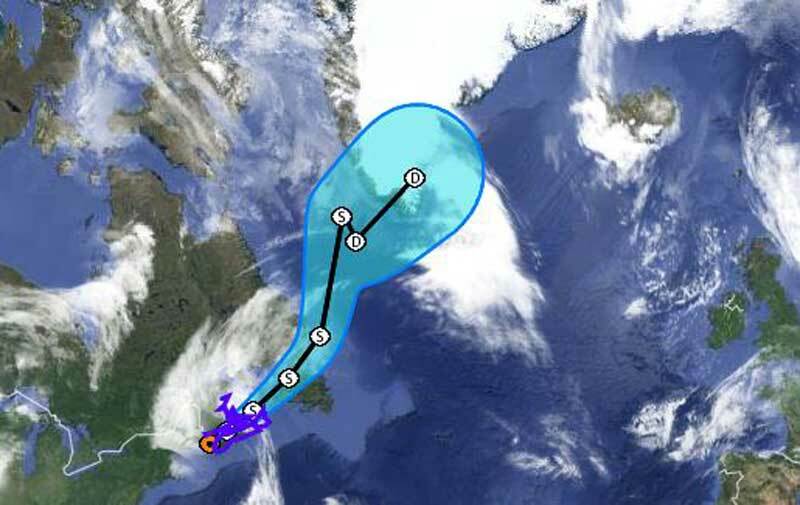 Arthur is continuing to move north-east and is now causing disruption around the U.S. and Canadian border. There are tropical storm warnings for Nova Scotia including Cape Breton Island along with warnings for Prince Edward island and New Brunswick. There are still threats from ocean swells and wind gusts up to 54 mph. Arthur has been moving just off the coast of highly populated areas but thankfully has not caused any major destruction and hopefully this continues as it moves north towards northern parts of Canada. Cruise Hive will keep readers informed of any major developments that impact cruising along with any new storms developing in the region.